This is a bit late, but intended this to be a valentines day post. But on the day I wanted to put this post up, my make up just didn't go the way that I wanted it to go. I ended up taking my eye shadow twice just to be semi happy with it. Do you eve just get those days when you just aren't feeling it?? well this was one of those days for me. As much as I love doing my makeup some days just doesn't go to plan. I was experimenting a little bit with different colour eye shadows to what I normally use which is what threw me off my game a little. Pink shimmery shadows aren't something that I usually play with, I tend to go for more neutral colours. 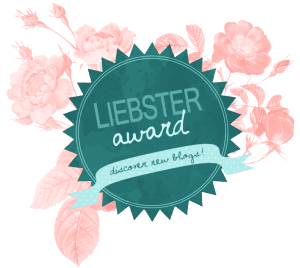 So I should have anticipated it would go little wrong, but as much as i'm getting better at planning my posts in advance I thought this one would go fairly smoothly. I can safely say all posts from now will be pre-photoed and pre-typed before the day that I wish them to go live!! 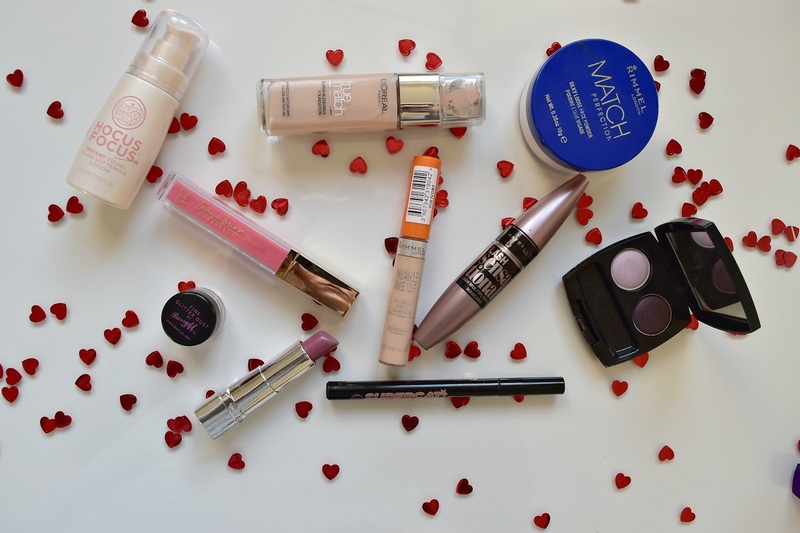 With my lips I used Rimmel London Moisture Renew in Vintage Pink with Tanya Burrs Lip Gloss in Picnic in the Park. These two colours work so well together in my opinion. Vintage pink has quite a purple under tone to it but it still looks quite neutral which is what I was going for. I recently purchased a new mascara, which is the Maybelline Lash Sensational. I have seen seen many people rave about this, and curiosity got the better of me and I'm glad it did. I am loving it so far. I love the false eye lash look it gives as I'm not very good with falsies .. I usually end up poking my self in the eye or something stupid. 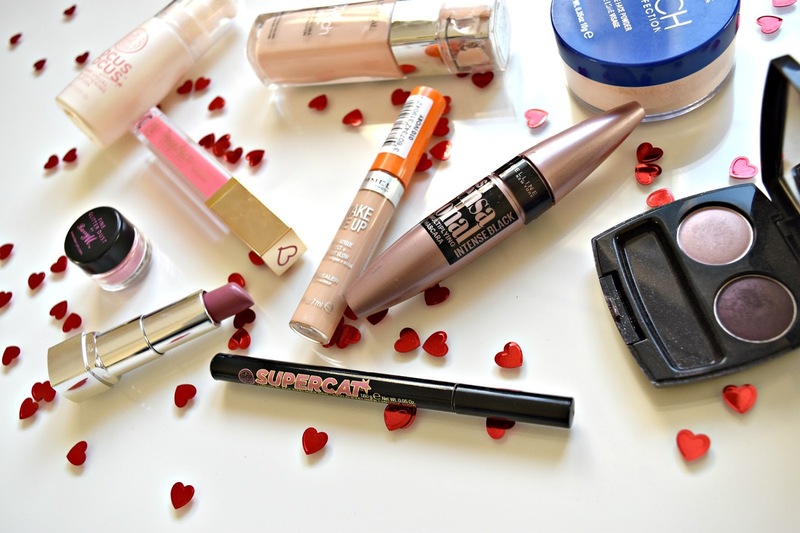 Soap and Glory Supercat eye liner has been my life safer since I found a love for winged liner. I have recommend it to so many people and will continue to recommend It is so easy to use and 9 times out of 10 i'll get the perfect flick. 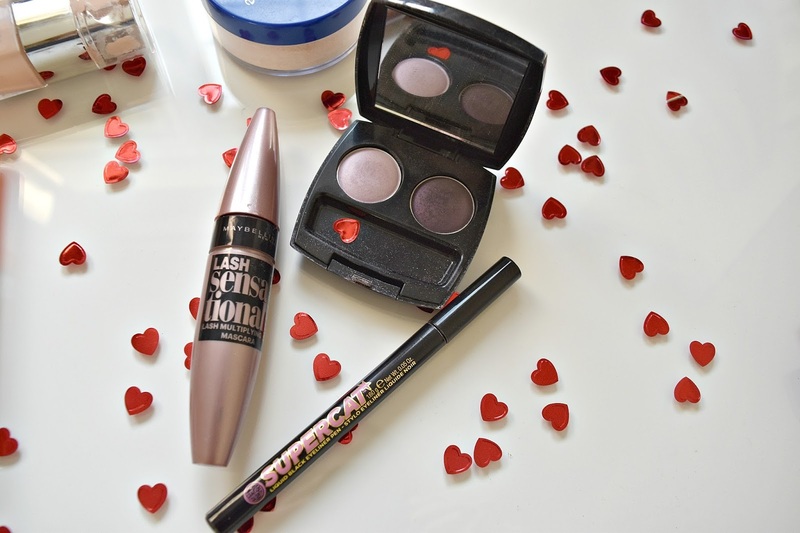 The eye shadow duo is another thing that I had hidden away in my draws I got this from Avon years ago, but it was perfect for this look. I used the darker shade in the crease ans the lilac shade was perfect for a base colour for the Glitter Dust. I'm yet to experiment with liquid highlighters. 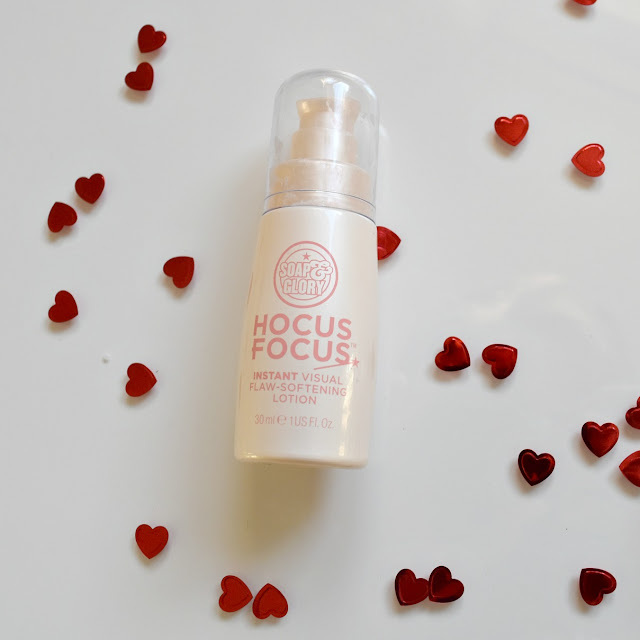 But I have had this Soap and Glory Hocus Focus lotion for a while now. It has a beautiful shimmer to it. 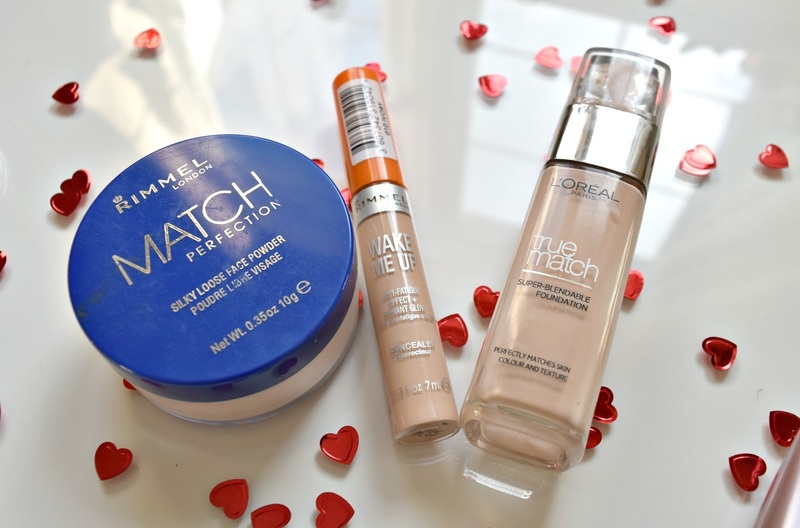 It says that you can apply all over your face under either your foundation for a glowing look, or mix it in with your moisturiser. With this look I wanted to look quite dewy without being shinny... seeing as I hadn't used this in while I had forgot how it looked on the skin. I will defiantly be reaching for this a lot more now I know I have it!! It created a lovely highlight across my cheek bones. I didn't even know I had this!!!!!! 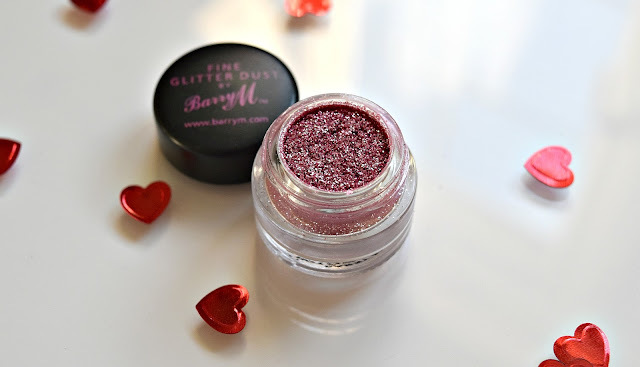 I think I must have received it in either my Glossy Box or Birch Box (both which are beauty subscription boxes) This is the Barry M Glitter Dust. It is gorgeous, the colour, the sparkle... it's just OMG But I had never used a loose glitter before so this was another experiment on its own, but I think it went well. I have found with a setting spray it stays in place quite well. I also loved my hair today, I put it in a french plait the night before. I love to do this with hair as its naturally straight so I love to do something to put some kind of texture in my hair.